You’re getting your store ready for the holidays by putting out festive décor, developing an email marketing campaign, boosting your local search optimization and planning your social media attack. But one holiday marketing tactic that might not be on your radar could actually be highly effective: direct mail. 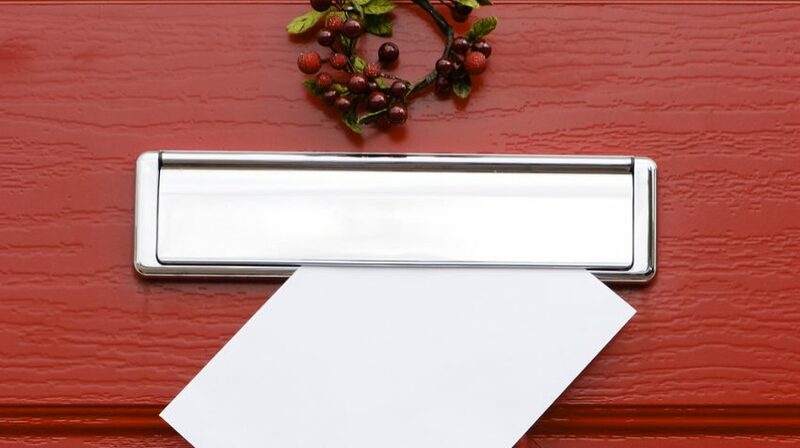 Direct mail influences holiday purchases for 77 percent of shoppers, a study by Epsilon reports. By comparison, just 41 percent of respondents say online banner ads influence their decisions. Why the love for direct mail? Respondents say direct mail usually includes some kind of discount. They can take more time to review the offer than if it were online. Plenty of respondents enjoy looking at mailers in a leisurely fashion. And many say they simply get too many emails — direct mail cuts through the clutter. Of course, you shouldn’t ignore digital marketing — 90 percent of respondents say they will go online or look at retailer emails as part of their holiday shopping. But the surprising popularity of direct mail means it deserves a second look. Use the right mailing list. If you have a mailing list of current customers, that’s the best place to start — you know they’re interested in what you have to offer. Want to target nearby residents? The U.S. Post Office’s Every Door Direct Mail program enables you to target recipients by ZIP code, income level and other demographic characteristics, and can simplify direct mail creation and distribution. Include an offer. Three-fourths of survey respondents say they are likely to use coupons they received in the mail — even more than those who plan to use coupons received by email or found online. Create a sense of urgency. Time-sensitive offers can get customers into your store during slower times of the week. For instance, hold a pre-Black Friday sale targeting customers who want to avoid the hectic crowds, a midweek sale or special deals available only from 9 to noon. Include a clear call to action. Whether it’s “Free Gift Inside” or “Bring in this postcard for 40 percent off,” make it immediately clear what you want customers about how the direct mail piece benefits them and what you want them to do next. Don’t forget the basics. I once got a postcard with an offer I was eager to act on, but I couldn’t find the business’s name anywhere on the piece! Hard to believe, but true. Make sure your direct mail piece includes your name, address (maybe even a little map), phone number, website URL and business hours. Track responses. Asking customers to bring in the direct mail piece for a free gift or discount is a good way to track who responds. You can then invest more in mailers to those customers going forward. A letter — Gift Card Enclosed or Gift Certificate Enclosed on the outside of an envelope will almost always get customers to open it. A gift card or certificate has a higher perceived value than a discount coupon — and customers will almost always spend more than the value of the gift card when they visit your store. A card — Consumers are primed to open cards at the holidays, so a holiday greeting card or “thank you for your business” card (with a discount, gift certificate or other offer inside, of course) is sure to get opened. A flyer — A colorful one-sheet flyer, tri-folded and addressed on the outside, can be surprisingly effective as well as inexpensive. If you use an attention-getting color, it will stand out from other mailers. A postcard — Postcards can be a colorful way to stand out from the pack too. Bonus: They’re also cheaper to mail. Invest in quality stock and four-color printing, as well as attention-getting graphics. Get more direct mail tips.